In my opinion some mulled wines can taste like medicine, which is not what I was looking for and neither are you I'm sure! After searching many recipes, Jean-Christophe Novelli's was the one. 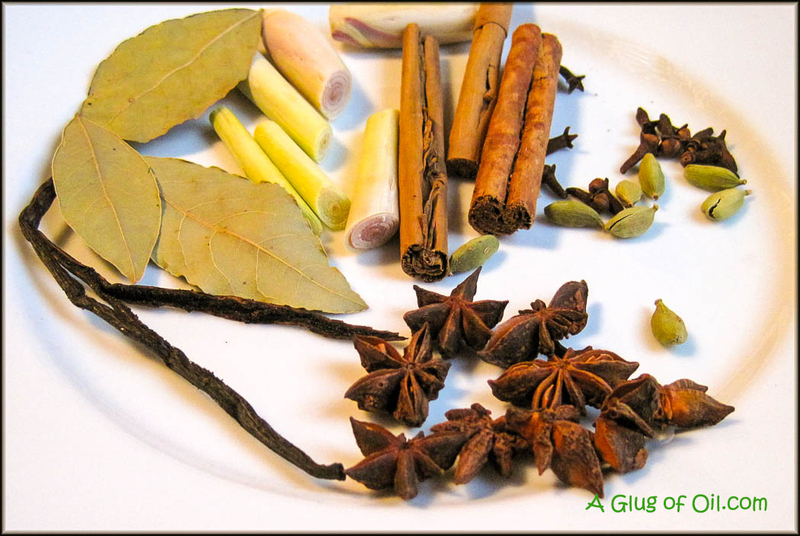 Lovely vanilla, star anise, cinnamon, lemongrass, cardamom pods, bay leaves and cloves, what's not to like? I did titivate his recipe, but only very slightly. He did add a pomegranate to his but I couldn't get one. So with my way of thinking as Port also begins with a 'P' I thought a glass of Port would substitute nicely 😉 I also added dark Muscovado sugar. Please don't buy really cheap wine or this won't taste half as good. Pour the Merlot wine and the Port into one of the saucepans and slowly heat up. It is really important not to let it boil so keep an eye on it. 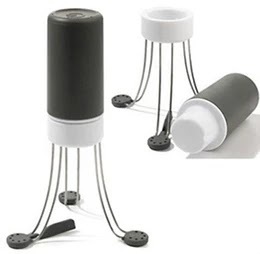 When a sort of foam appears on top, remove it carefully with a spoon and discard. This will take a little while but it's important to do this. Put the other saucepan on to heat up till it's nice and hot then throw in all the spices and the lemongrass. Stir for just a few moments so nothing burns before adding in the honey. 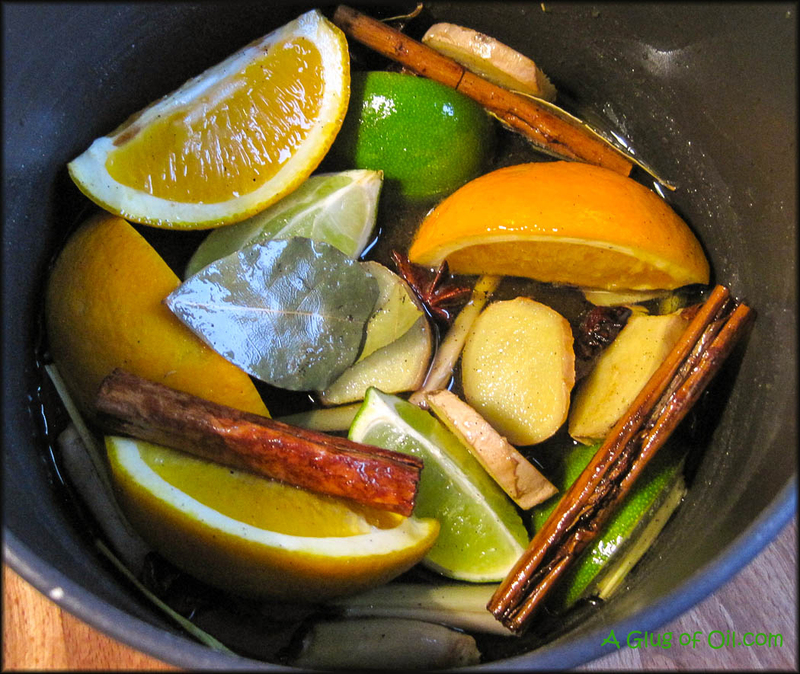 It will sizzle so be careful, almost immediately, throw in the ginger slices and orange and lime quarters. With the wine still hot, ladle in a bit at a time till it's all in the saucepan. 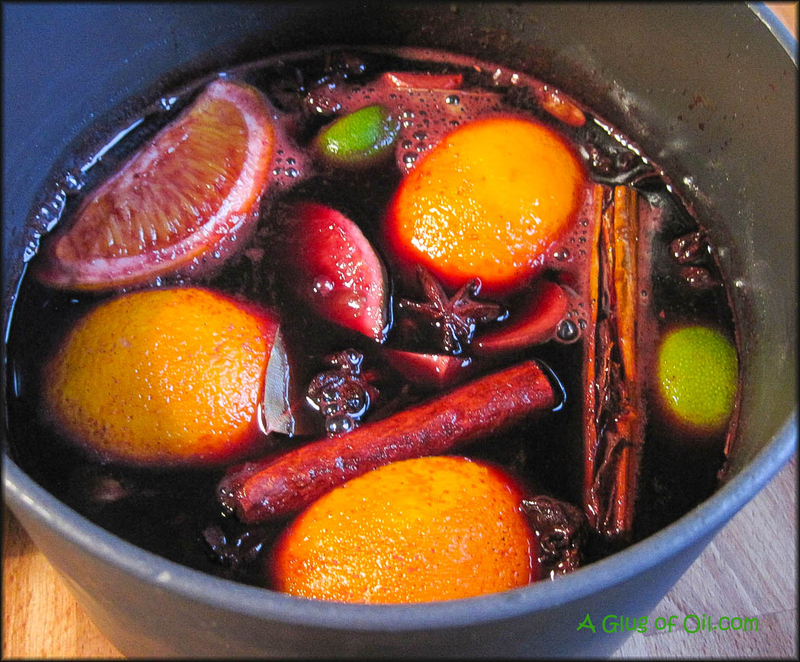 Put a lid on the saucepan and continue to heat the mulled wine mixture gently, never letting it boil. Leave it to cook for about 10 or 15 minutes and have a taste. Add the *Muscovado sugar if you think it needs it. Then that's it - you're all done. Strain the mixture to remove all the spices and bits and pieces and serve hot. I do not really drink wine, except for mulled one or port so this recipe is really perfect for me!